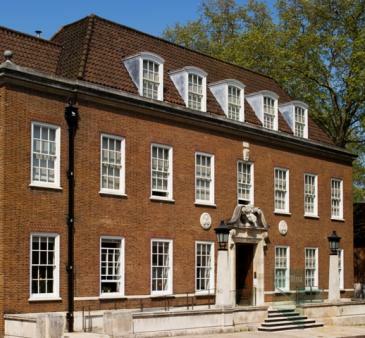 At the Foundling Museum the whole family can get a glimpse into a heartwarming piece of London history – the story of abandoned children taken in and given a home by an extraordinary group of philanthropists. And you can take a historical selfie, too! 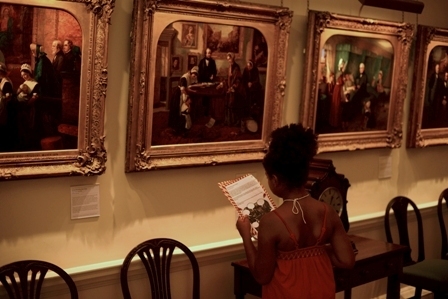 Play dress-up and get creative as you step back in time at London’s Foundling Museum. Dominique Dinse visited with Oliver, 10, and Ben, 8. 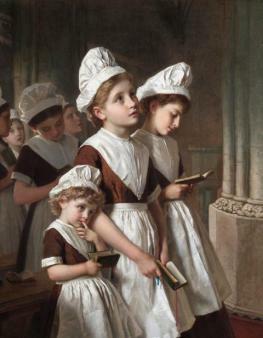 It sounds like the most heartrending thing you could take your child to see: a collection of photos and memorabilia commemorating the lives of the children taken in by London’s Foundling Hospital – the UK’s first children’s charity established in 1741 – when their own parents were no longer able to care for them. There are copies of the clothes they wore, the beds they slept on and, most poignantly, tiny “tokens” – buttons, thimbles, charms or even just scraps of fabric left on the doorstep with the infants, the only thing in the world linking them to the mother who made the heartbreaking decision to give them up. But in fact 21st-century kids interact overwhelmingly positively and enthusiastically at this spacious museum, tucked in next to famous Coram’s Fields with its playground, petting zoo and café – chances are your family has visited this famous play space without ever knowing it’s there. It’s a warm and vibrant tribute to the children and the extraordinarily forward-thinking philanthropists who went to great lengths to give them a bright new start. The tiniest visitors will love the hands-on aspect of the museum. There are drawing and building-block activities on the ground floor; the chance to dress up as a character inspired by the Foundling Hospital, such as King George, sea captain Thomas Coram or even a foundling boy, a Victorian servant or a soldier in the opulent Picture Gallery on the first floor; and at the very top of the building the chance to sit in comfy chairs and listen to Handel’s gorgeous, sweeping music through their own headphones. There’s even a kids’ book corner to take a breather if all the exploring gets a bit much for little legs. 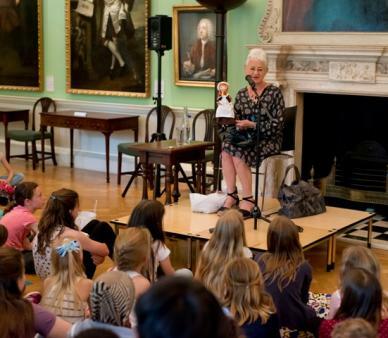 Year 1s and 2s will enjoy Your Adventures at the Foundling Museum. In this colourful, creative booklet designed by illustrator Nina Cosford a cuddly lamb (the hospital’s emblem) keeps kids enthralled by pointing out things to keep an eye out for. Make a list of all the different sounds can you see in William Hogarth’s gigantic painting The March of the Guards? (The artist encouraged all the leading artists of the day to donate work to the hospital, making this London’s first public art gallery.) Can you climb the huge wooden stairs that used to be in the boys’ wing of the hospital and find Handel’s musical chairs on the top floor? Imagine you are a foundling leaving the hospital – what would you be thinking? Dotted around the walls of the museum are brightly coloured speech bubbles inviting young visitors to imagine life in the hospital. Adults might imagine these to be maudlin – “Pretend you are a foundling lying in bed in one of the dormitories. Who and what would you miss the most?” – but Oli, 10, and Ben, 8, leapt at the chance to do a bit of role-play and were eager to talk about how they would feel. The Hetty Feather Trail – named after the star of three hugely popular books by children’s author Jacqueline Wilson – is a new colourful booklet illustrated by Nick Sharratt that leads Years 3-6 kids through the museum. There’s more detail here, which will be appreciated by older kids, covering the history of the hospital and the characters who brought it to life. While you might imagine this would be largely aimed at girls, as the Hetty Feather character books are, our boys jumped straight in to the cutting-out and colouring-in and avidly read every page, using the clues to make their way around the display cases filled with memorabilia detailing daily life for the children – mealtimes, school work and daily duties. Older kids also visiting on the day we were there made a beeline for the museum’s top floor, devoted to Handel and scattered with comfy leather chairs with headphones to listen to his amazing music – did you know this remarkable composer gave performances of his staggering work Messiah every year until his death to raise vital funds for the hospital? He also composed a special anthem for a benefit concert held in 1749 to fund the completion of the chapel and paid for the first organ to be installed in it. Without his amazing efforts this museum probably would not even be here today. As well as the score of Messiah left to the hospital by Handel in his will, the museum holds an internationally important collection of material relating to the composer. The collection of everything from manuscripts written in his own hand, to his will – which mentions the hospital specifically – is beautifully displayed on the top floor of the elegant building and is well worth the climb up the massive original oak staircase. Back at the very bottom of the stairs – and back in the 21st century – is a photobooth that kids will love. Dress up in period clothing and snap a selfie! Hands-on learning workshops take place during the holidays, so check to see what's going on before you visit. Also available every day are two Hetty Feather kids’ trails (£1.50 each) and the Family Activity Trail (free) – ask at the front desk for your pack and pencil. Dress-up Corner and Family Book corner are also available every day. The museum’s café is in a lovely, light high-ceilinged room near the entrance. On offer every day are pastries, homemade soup and other hot dishes, dresh salads and cream teas. When it’s sunny they move some tables and chairs outside so you can enjoy the sunshine. Children are very welcome and highchairs are provided. The museum is, of course, adjacent to Coram’s Fields with its famous refreshments kiosk – the perfect fresh-air stop after a couple of hours spent in the enthralling museum. It’s also just round the corner from the Brunswick Centre with its huge array of restaurants including family-friendly Carluccio’s. There are lots of public transport options. The closest stations are Euston, St Pancras, King’s Cross (rail; all 10 minutes’ walk) and Russell Square (2 minutes’ walk) , King’s Cross, St Pancras (Tube). Metered parking (free after 1.30pm on Sundays) is available, or try the National Car Park at the Brunswick Centre (entrance on Marchmont Street). There is also a Barclays Bike Hire rack near the museum, on the east side of the Brunswick Centre. Railings to lock bikes are available opposite the Museum entrance. Admission prices: free for children up to 16. Adults: £7.50 (£8.25 including Gift Aid). Half-price admission for National Trust members. Opening hours: Tuesday-Saturday 10am-5pm; Sunday 11am-5pm. Closed Mondays. Our boys snapped up rubbers, pencils and badges for just a few pounds – there are lots of back-to-school goodies to be had here, as well as Jacqueline Wilson’s Hetty Feather books, plus CDs, postcards and other souvenirs. .
Take a virtual look around every room of the museum with the 360-degree tours on the website. Some of these are aimed at grown-ups perhaps thinking of booking the museum for a function, but little internet browsers will love getting hands-on with the website and getting a close look at the sumptuous rooms and displays. Free visit packs have been developed for teachers and schools and are definitely worth downloading before your visit to help you make the most of it; choose from Famous People and the Foundling Hospital, The Victorian Foundling Hospital, Dickens and the Foundling Hospital and trails which focus on Handel, philanthropy and the arts. You can also download the Hetty Feather activity booklet and a Hetty Feather circus activity.